social contacts,spirituality or religion, nature, and service to others have all been shown to increase our belief that we are well. Ranked high among these experiences is creative expression..."
Penny H. Baron, PhD, ATR-BC, LCAT is a therapist, supervisor, workshop leader, consultant, and teacher with over 25 years experience in the areas of creative arts therapy, holistic health, stress management, and psychotherapy. 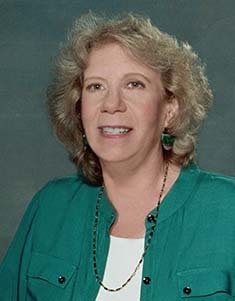 In her private practice, Penny works with individuals integrating a combination of creative and personally empowering experiences in conjunction with mental health and counseling techniques. Meditation, deep breathing, progressive relaxation, and guided imagery may be utilized to help clients reduce tension and cope more effectively when facing stress and the challenges of life. Dr. Baron's Creatively Coping With Stress™ programs have been presented at educational institutions, companies, human service agencies, medical settings, conferences and retreats for both professional audiences and the general public. I was raised in New York City, but spent many summers away at camp in the countryside as a child and teenager, where I developed an early love for nature. Summer camp was a time to play and explore my creativity in art, music, dance, and drama. These experiences helped to cultivate skills valuable today as an adult, when leading groups and facilitating workshops as a creative arts therapist. At college I studied topics within the humanities, placing special emphasis on art, art history, psychology, and sociology. At drawing and painting classes I was especially attracted to the elements of color and design. Eventually I successfully graduated with an Associate in Applied Science Degree in Textile Design from the Fashion Institute of Technology in New York City and used my talents working as a commercial artist. During the time period that I was employed as a textile designer I became influenced by a variety of teachers and workshops in my personal life, while investigating interests in the areas of holistic health and art therapy. This exploration then guided me to a bridge that connected a new desire to integrate my background in the arts with a career working more directly as a helping professional. I graduated from Pratt Institute in New York City with a Master's Degree in Art Therapy and Creativity Development. My career as a therapist, workshop leader, teacher, and consultant has spanned over 25 years. In both New York City and Ithaca, New York, I worked holistically with cancer patients, individually and in groups, utilizing psychotherapy, deep relaxation, guided imagery, and art therapy. This clinical work is discussed in my Master's Thesis, "Psychological Factor's, Cancer, and Art Therapy," later published as Group Work With Cancer Patients in Creative Arts Therapy Review, 6,22-36, Pratt Institute, Brooklyn, NY; and in the chapter contribution, "Fighting Cancer with Images," Advances in Art Therapy (pp. 148-168) by H. Wadeson, J. Durkin and D. Perach (Eds. ), New York: John Wiley & Sons, Inc. Working with cancer patients was inspired by my readings and atttending workshops given by Dr. Carl and Stephanie Simonton, pioneering researchers and authors of the book, "Getting Well Again." I was also influenced early in my career by Dr. Elizabeth Kübler-Ross. Through participating at her intensive workshops focusing on the areas of grief and loss, death and dying, I learned about the deeply compassionate and courageous work she was doing with children and adults facing serious illnesses. I won a media award from the American Cancer Society for my three part series printed by the former Ithaca weekly newspaper The Grapevine entitled, "Healing Cancer: Can the Mind Influence the Body?" I self-published the workbook "Journeying Towards Health Through Creativity," Creative Press, Ithaca, NY, outlining numerous creative activities for individual's facing a serious illness who wished to more actively participate in their own healing. I continued my academic studies at the doctoral level, graduating from the Union Institute & University in Cincinnati, Ohio with my Doctor of Philosophy Degree. My program in Health Studies was personally designed with a special focus in Art Therapy, Stress Management, and Health Psychology. A doctoral level internship was completed at the Cornell University Wellness Program, where I introduced Holistic Health Consultations that supported and enhanced members overall health and well-being, in addition to leading weekly stress management groups, and conducting lunch time lectures. My course studies allowed for further in-depth research into art and healing, symbolism, women and stress, mid-life and stress, and the mind/body connection. My dissertation "Crossing the Bridge to Health: A Creative and Symbolic Journey," was a qualitative research study that looked into the utilization of dreams, artwork, myths, intuitive, and synchronistic occurrences to understand an individual's illness and recovery process. The research and clinical work experienced in this doctoral program allowed me to reach life long professional goals, which strengthened my skills as a therapist and educator. Other important experiences gained during the course of my career as a therapist included individual and group work utilizing the creative arts therapies in nursing facilities with residents who have Alzheimer's disease, dementia, and a variety of physical handicaps. In both New York City and Central New York, I also used my skills as a therapist and group leader within psychiatric and rehabilitation settings to assist individuals with the challenges of mental illness, depression, suicidal thoughts, addictions, and eating disorders. In addition to my formal employment at a variety of institutions, I have over 25 years of expertise giving lectures and workshops for professionals and the public on topics relating to holistic health and healing, creativity, burnout prevention, and stress management.